Many users are facing 0x80070422 Update Error code on their windows 10 pc. If you are also facing a similar situation, here is how to fix this error. Just read the steps given below to solve this problem on Windows 10 System while updating. 1 – Press and hold Windows key and press R key to Open Run command box. 2 – Now, write Services.msc in the field. 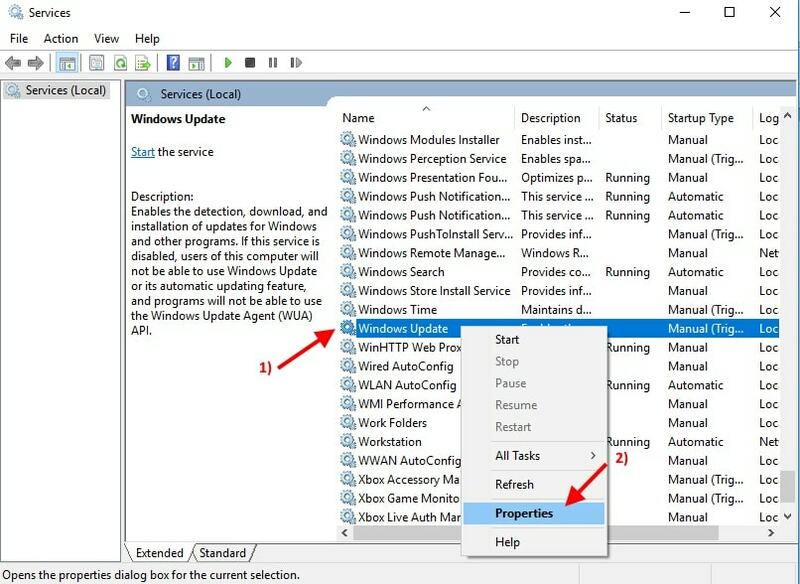 4 – Once the service manager window opens up, find Windows update service from the list. 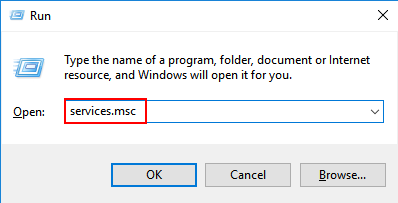 5 – Right click on Windows update and click on properties. 6 – Just make sure that Startup type as Automatic is selected. If its not the case, just choose startup type as Automatic from the dropdown. 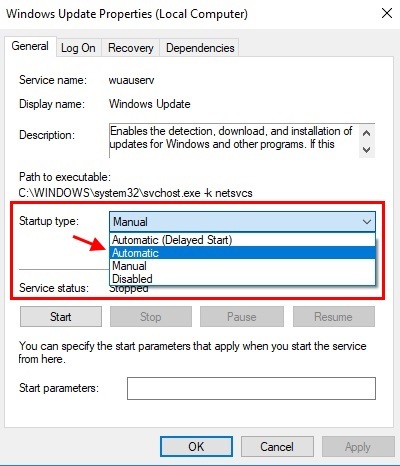 7 – Also, make sure that Start button under Service status is inactive (It means the service is already running). 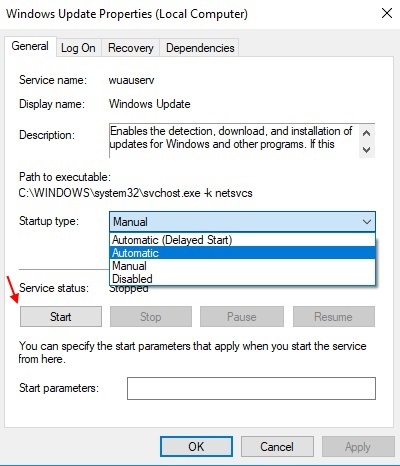 8 – If Start button is inactive, just click on it to start the service. 9 – Also, make sure that services given below are also up and running. Similarly search and find services below and check whether they are running or not. If they are not running, just right click on them and choose properties and then click on start.